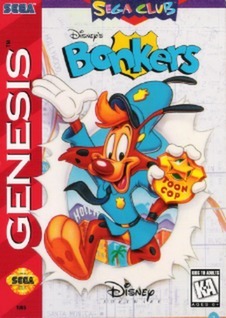 Bonkers (Sega Genesis, 1994) Cartridge Only! Bonkers (Sega Genesis) Disney Game Cartridge Nice! Disneys Bonkers (Sega Genesis, 1994) Cartridge Only!